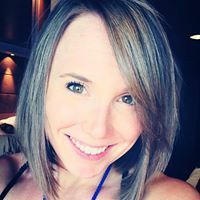 Sommer Chaka is a Certified Holistic Nutritionist in Boulder, CO. She provides at-home or in-office consultations for a range of health and nutrition needs. As a holistic nutritionist, her focus is on using whole foods to help individuals improve overall health and manage weight. She uses science-based research to educate her clients to help them achieve their goals and create healthy lifestyle changes! Holistic Nutrition is a natural, whole food, approach to achieving balance in the body and mind. She works to address the root cause of the symptoms, rather than masking the symptoms themselves. Before any recommendations are given, Sommer will review health history, lifestyle, and other factors in ones life. This is done to ensure individuals receive the best advice to help them reach their goals. Sommer believes that our bodies contain the innate ability to heal, if given the right combination of nutrients, movement, and mindfulness. Food being the root of this equation. So, why is what we eat so important? Food provides our bodies with the nutrients it needs to function properly. This includes healing, sustaining, and balancing everything going on inside of us. However, more often than not, individuals struggle with knowing what foods to eat in order to be healthy. In turn, we often choose food that makes symptoms and weight loss issues worse. Another challenge is that, biochemically, we are all unique, and each need different foods to feel our best. So, this is where Sommer comes in; helping individuals figure out an optimal diet that can help to reduce symptoms of disease and illness, improve mood and energy, and also manage weight. Sommer specializes in working with individuals who have medical conditions and recurring illnesses. She also works with individuals to help balance GI function, reduce inflammation, and improve immunity. Grocery store tours can be provided to learn how to read labels, identify common marketing scams, and understand healthy food choices. Food preparation sessions can be held, so individuals learn how to create delicious, simple, and quick healthy meals. Common nutrition errors and how to overcome them to accelerate weight loss. Powerful and nutrient rich foods that help to alleviate or even reverse symptoms of disease. Implementation of behavioral strategies to break bad habits. Personalized consultations with goal setting, obstacle breaking, and nutrition planning. Advice that focuses on healing your body and bringing it back into a balanced and healthy state. Discussion of research-based health practices for implementation in an everyday lifestyle. Recipes, tips, and tricks to prepare individuals for success. *Sommer makes no claims to cure or prevent disease, but in many cases her recommendations have successfully resulted in these outcomes for individuals that adhere to her customized nutrition program.